The Raynham Fire Department is urging holiday celebrators to take precautions this season after a family of four was displaced from its home early Monday morning when Christmas decorations sparked an electrical fire. Firefighters responded to the single-family home at 248 Warren St. West around 2 a.m. and found a fire burning in the living room next to a Christmas tree. The blaze sprouted from the outlet the Christmas decorations and a sub-woofer were plugged into, according to a statement from the Raynham Fire Department. The four residents were able to escape the house safely before firefighters arrived. The flames were knocked down quickly, but the house sustained about $100,000 in water damage to the first floor and basement, as well as smoke damage throughout. The family is staying with relatives, officials said. ■Turn off or unplug any electric decorations before going to bed or leaving the house. Plug-in timers are a good way to get those decorations to shut off on their own. ■Only use lights that are marked as having been tested for safety. Be sure to check each set of lights for broken sockets, frayed wires, and loose connections. Don’t use any damaged lights. ■If you’re decorating outdoors, fasten lights securely to protect them from wind damage. 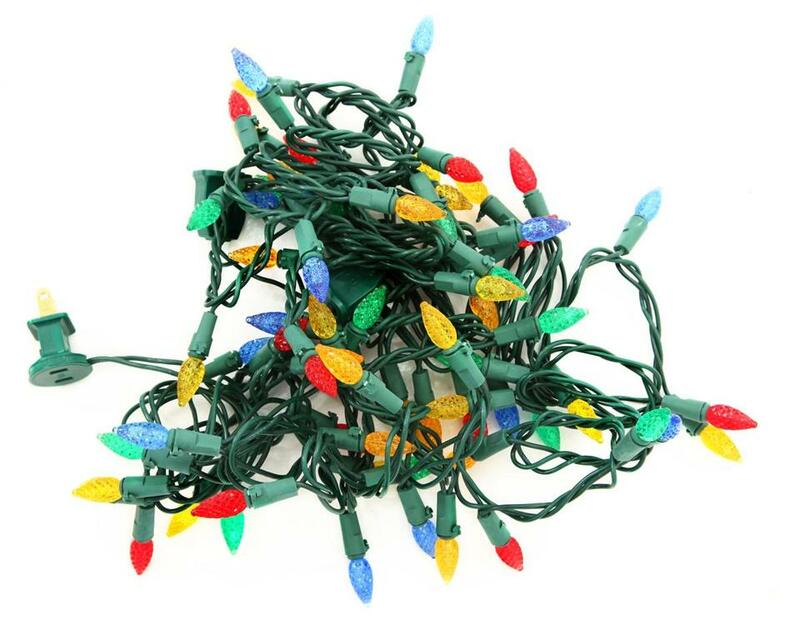 ■Avoid plugging more than three standard-sized sets of lights into a single extension cord. the lights could short-circuit and spark a fire. ■Never use electric lights on a metallic tree. The state Department of Fire Services also has a set of guidelines that could help families prevent fires sparked by holiday decorations. ■Wherever possible, use LED lights. They’re better for the environment and don’t get as hot as other kinds of lights. ■Don’t put staples, nails, or tacks through wiring insulation, as doing so could cause a fire. ■If you buy a real tree, make sure it’s fresh, and water it regularly if possible. If needles fall off upon contact, the tree is too dry, meaning it’s more likely to combust. ■If you buy an artificial tree, pick one with a flame retardant label. ■Place the tree away from doorways and make sure it’s not near any sources of heat, such as fireplaces, candles, and heaters. ■Check the batteries in your carbon monoxide and smoke detectors and develop an escape plan with your family.